When you are a bookmaker, you want the people that you are dealing with to be as professional as possible, including the pay per head Services Company that you are choosing to serve your client attention needs. In the case of Book per Head, we have established internal privacy policies which were created to make sure that every single member within our organization understands that his individual mission is part of an overall purpose, and with this in mind, we all work to help agents to establish a name for them. Since we started our company more than 20 years ago, we knew it wasn’t going to be easy, and that was in part true, but as our name got to be known and our services got to be recognized and approved by those that matter, we started to grow real quick until we became the trustful and recommended organization we are nowadays. A reputation is all in the business of bookmaking, as people only wants to deal with agents which have a good name in terms of paying on time and treating their clients in a respectful and cordial way, and in order to do so, bookies knows that using pay per head solutions will certainly make it easier for them to attend to the needs of their customers without having to put too much time into it while still taking care of their reputation. 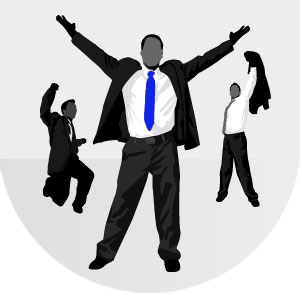 Book per Head is a company that is aware of the different needs of a player, which allows us to offer a service that is liked by both the bookie and his clients, and this middle-man situation is also quite beneficial for the agent as he is not taking wagers himself, making it a more secure way to handle his betting operation. Another excellent reason why you, as a bookie, should consider to work with Book per Head are our casino solutions, which will allow you to have an extra source of income while preventing your sports betting clients from getting their casino action somewhere else. If you are a bookie that is truly interested in gaining a good reputation while still having enough free time for yourself and for looking for new clients, don’t hesitate to contact us now at 1-877-774-0999. One of our new client representatives is ready to get on the phone with you and explain you how our solutions can change the way in which you do businesses right now. This entry was posted in Articles and tagged betting operation, bookie, bookmaker, bookmaking, casino solutions, pay per head services, pay per head solutions, sports betting on February 29, 2012 by Mark.